This is my very first outfit of the day post and I am pretty excited! Every time I wear this dress it makes me feel a little like a pirate, hence the title ( xD ). This dress is super comfy and is an easy thing to throw on when I want to look a more on the put together side. I got it from Buffalo Exchange in Eugene, OR. It used to have cute little anchor buttons on the sleeves, but no longer. Today was a bit cool (and slightly rainy) so I put some black tights with it. Also due to the slightly rainy weather I wore this faux distressed leather jacket that I found for a measly $6 on the OSU campus at a place called the OSUsed Store (isn't that creative). To top it all off I wore my absolute favorite shoes! 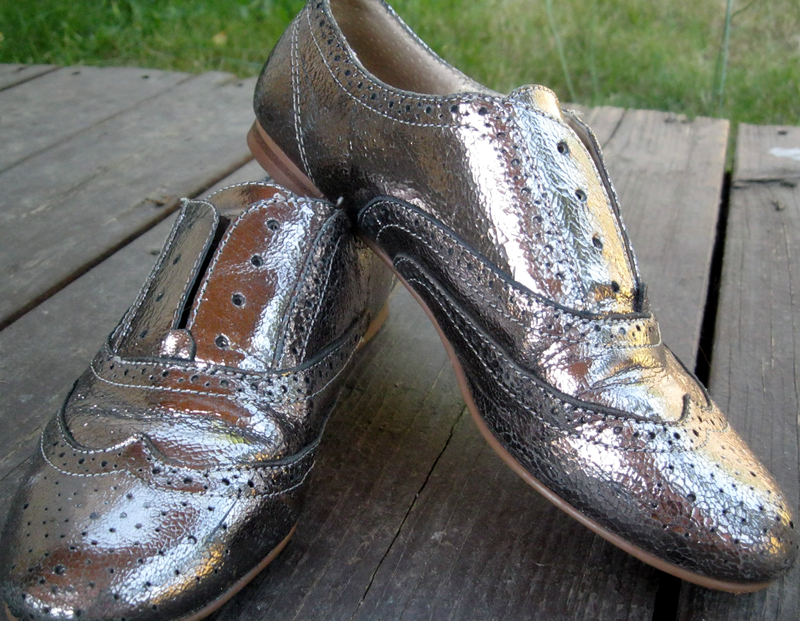 These are my metallic pewter oxfords by Steve Madden. They're not everyone's cup of tea, but I absolutely love these so much. I looked for them for so long and if I ever found another pair I would immediately by them. Seriously, if anyone finds a pair of these around a size six I would love to know. As for makeup i went for very minimal and simple. You can't really tell, but I do have a subtle cat eye going on. Thank you so much for reading. I think it's a super fun outfit and I hope you liked it! I really like the picture with the skirt pulled out! :) It's adorable, girl!